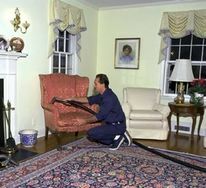 Free Carpet & Upholstery Cleaning Quotes for Homeowners in Irvington, New Jersey. And any other type of fiber or fiber blend. When our technicians arrive at your home or office they will pre-spot the problem areas, move the furniture that can be moved, thoroughly clean the carpet, replace the furniture to its original location, and put foil pads under the legs of the furniture to protect the carpet. This is our normal on-site cleaning process. It should take approximately six to twelve hours for the carpet to dry. We will leave you with show covers so that you can walk on the carpet while it is drying. "Our experienced service consultants will review your needs and give you a firm price quote in writing." We have an even better process that we call Ultra Clean. With this process we do our regular cleaning and add to it an additional clean-water rinse that significantly removes much more of the soap residue and additional soil that even our regular process cannot get out. But that's not all. With Ultra Clean we will apply an anti-microbial treatment to your furnishings and follow this with an application of carpet protector. Please ask for Sales Representative for more information. Use a good vacuum cleaner with a motor driven brush and beater bar. Generally the more amps the vacuum has the stronger the suction and beater action will be. A vacuum that is top loading where the dirt falls down into the collection bag is much more desirable then one that is bottom loading. Any vacuum will work better when the bag is empty rather then when it is full. Empty or change the bag when it is half full. Use the new hepa filter bags that are available for most models. These bags are more efficient and leave the air in your home actually cleaner then before vacuuming. Be careful not to get the fringe of a handmade rug caught in the brush of the vacuum. If it does, turn off the unit before attempting to remove it. 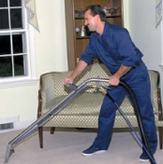 When vacuuming, push and pull the cleaner in slow and even strokes allowing it to pick up embedded soil. Use the hose connection on the vacuum to thoroughly clean all upholstered furniture, drapes and other window treatments. It is a good idea to vacuum all surfaces, hard and soft, at least once a week. Rugs and carpets should be done more frequently as they tend to pick up more dirt, dust and grit; and can hold a lot of soil. WE AREN'T THE ONLY ONES WHO RECOMMEND STEAM CLEANING YOUR CARPET. Hi, I'm Paul Iskyan. We insist on using only the very best methods with all our cleaning services. That's why we clean carpet using the hot water extraction method, what is commonly known as steam cleaning. And we're in very good company. Shaw Carpet, the largest manufacturer of broadloom carpet in the world, recommends the hot water extraction system, which research indicates provides the best capability for cleaning. The 3M Company, the manufacturer of Scotchgard Carpet Protector, says that when cleaning is needed, the recommended method is extraction (steam) cleaning. The extraction process leaves the least amount of detergent in the carpet. It is the detergent in the carpet which attracts most soil. Want your carpet cleaning correctly? Call us. Our cleaning technicians are trained and certified in the proper cleaning of leather and all types of fabrics including silk. The beauty, as well as the durability of most fabrics is vitally dependent on their cleanliness. The frequency of cleaning really depends on the amount of usage the furniture gets and the amount of traffic in a given room. A good rule of thumb would be to clean once a year for heavily used furniture, every two years for moderate use and every three years for light use. The type of fabric will usually dictate the cleaning method we use. We have wet extraction on most cottons, wools, raylons and other blends. For chintz, silks, satins and velvets we usually use a dry cleaning method and foam hand cleaning is used for damask and Haitian cotton. Leather furniture needs to be cleaned and protected and the type of cleaning really depends on the type of leather. Our cleaning technician can review with you what needs to be done and what type of results you can expect prior to the work being done. In case of pet stains, leaks, floods, fire, and spills, we can provide many of our services on an emergency basis. The sooner you call us when a problem occurs, the better the chance of minimizing the damage. Don't wait. If possible, photograph the problem and call us. Don't wait for an insurance adjuster to contact you. Most of the time it will be too late. Don't allow the housekeeper or cleaning lady to start doing stain removal. Most of the time they will do more damage to the rug or furniture than the stain. 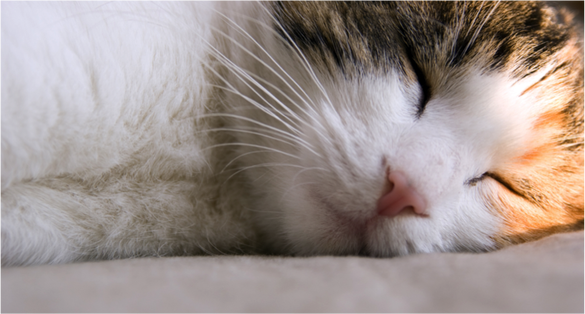 Carpets and rugs and furniture can capture pet and other odors and hold onto them. However, these odors can be removed, and the time and effort will depend largely on the type and intensity of the odor. 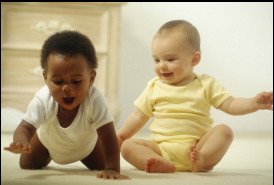 If the odor is strong, be prepared to have an expert spend some time removing the odors from your carpet. When possible, adding fresh air always helps to expedite the process. We can gently and safely eliminate most offensive odors caused by mildew, pets, smoke and other causes. If your carpets have an odor problem, call us at 800-342-1278. Fiber-Guard™ provides a superior top-to-bottom protection on each and every fiber in your carpets, wall-to-wall carpet, fabric and leather furniture, wall fabrics and draperies. Have us apply Fiber-Guard™ - The finest stain and soil protectant available to Wool, Cotton, Leather, Silk, Velvet, Suede and all other fabric blends. Fiber-Guard™ will not wear off like other stain repellents and will leave your fabric's color, feel & texture unchanged while remaining safe and non-toxic. Fiber-Guard™ helps prevent all types of oil and water based stains and spills. Applied in your residence or business by our trained personnel. Always insist on IICRC Certified Cleaning Technicians. The IICRC stands for Institute of Inspection Cleaning and Restoration Certification. They are the only recognized national certification program. Certification involves a minimum of 16 hours of classroom training and scoring a 75 or above on a 160 question exam. There are as many as 12 different types of carpet fibers and hundreds of different cleaning solutions. You want to make sure that you have someone in your home whoreally knows what they are doing. We’ve all seen and heard the horrorstories about shrinkage, browning and mildew from over wetting and usingtoo much and the wrong cleaning agent. Always insist on IICRC Certified Cleaning Technicians. The IICRC stands for Institute of Inspection Cleaning and Restoration Certification. They are the only recognized national certification program. Certification involves a minimum of 16 hours of classroom training and scoring a 75 or above on a 160 question exam. There are as many as 12 different types of carpet fibers and hundreds of different cleaning solutions. You want to make sure that you have someone in your home who really knows what they are doing. We’ve all seen and heard the horror stories about shrinkage, browning and mildew from over wetting and using too much and the wrong cleaning agent. 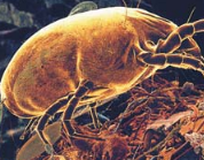 Your carpet and furniture act as filters to collect harmful dust, dirt, dust mites and all types of bacteria. The EPA recommends cleaning carpet in your home every 6 months. The EPA has also found that professional hot water deep-extraction can be up to 15 times more effective at removing harmful bacteria, pollen, dust particles, dust mites and their bi-products than you can do yourself or by vacuuming everyday. Regular cleaning will effectively remove the pollutants that can cause many health problems. There are numerous "bait and switch" type cleaners that quote vague or low-ball prices only to rack up extensive overcharges once they are in your home. By simply selecting an established, experienced professional cleaner that provides a firm written proposal you will guarantee that you never get ripped off. Anyone can purchase a cleaning machine for less then $1000.00 and now they’re a carpet and furniture cleaner. The best cleaners have the best equipment. A Truck mounted cleaning machine gives the technician the right equipment to do a great job on your wall to wall carpet and furniture. This machine is self contained. The technician simply brings a long hose into your home and the water, soap and waste water is all out in the truck. When it comes to cleaning in apartment buildings a portable hot water extraction machine is used and when operated by a certified technician the cleaning results can be excellent. Experience, training and the right equipment makes for great cleaning.